See Rainer Rueckert, Meissener Porzellan, Munich, 1966, no. 1109, plate 272 for a single example with the squirrel of the Bayerisches National Museum, Munich and Christie's New York, 23 April 1998, lot 241. 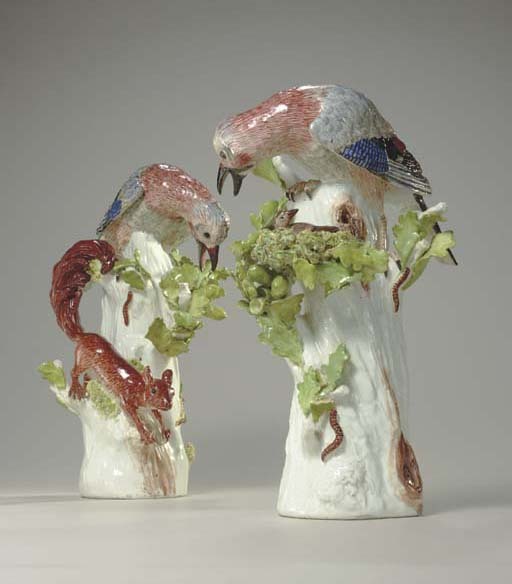 For similar models of the nests see also Hans Syz, J. Jefferson Miller II and Rainer Rückert, Catalogue of the Hans Syz Collection, Washington D.C. 1979, Vol. I, page 484, no.330.